And so the nightmare scenario for the Ukraine is a simple one. Temperature drops below freezing and stays there for a couple of weeks. Coal and natural gas supplies run down; thermal power plants shut down; the electric grid fails; circulator pumps at the 19 nuclear reactors (which, by the way, probably haven’t been overhauled as recently as they should have been) stop pumping; meltdown! The U.S. leaves a ticking time bomb on the doorstep of Russia, and of course, Belarus, Poland, and all the surrounding countries. Is the milk from dairy farms in North Wales safe yet to drink post-Chernobyl? This is a dangerous game and a trap rigged for Russia. 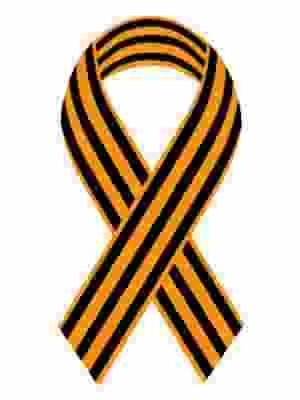 If Russia intervenes, the U.S. and the West will cry “Russian aggression” and attack. Yet Germany, one of the U.S.’s closest allies, has so much to lose, such a wealthy country that is unplugging from nuclear, yet has Ukraine just a hair breadth away. Wake up, Poland! The anti-Russia slander shows only how bereft of sanity some Poles are. Your future hangs in the balance, and your well-paid officials will flee to their faraway lairs if nuclear disaster erupts. But where can one flee on this small Earth from nuclear fallout? And if all 19 reactors go….? What then? Your “allies”, the U.S. and Canada, are broad oceans away. This is part of the “away game.” They leave others and even their own soldiers (who they repeatedly abandon) to be at Ground Zero, while they plot from a distance. Who is their next domino? With all the action in Syria, the Ukraine is no longer a subject for discussion in the West. In Russia, where the Ukraine is still a major problem looming on the horizon, and where some 1.5 million Ukrainian refugees are settling in, with no intentions of going back to what’s left of the Ukraine, it is still actively discussed. But for the US, and for the EU, it is now yet another major foreign policy embarrassment, and the less said about it the better. In the meantime, the Ukraine is in full-blown collapse—all five glorious stages of it—setting the stage for a Ukrainian Nightmare Before Christmas, or shortly after. Phase 1. Financially, the Ukrainian government is in sovereign default as of a couple of days ago. The IMF was forced to break its own rules in order to keep it on life support even though it is clearly a deadbeat. In the process, the IMF stiffed Russia, which happens to be one of its major shareholders; what gives? Phase 2. Industry and commerce are approaching a standstill and the country is rapidly deindustrializing. Formerly, most of the trade was with Russia; this is now over. The Ukraine does not make anything that the EU might want, except maybe prostitutes. Recently, the Ukraine has been selling off its dirt. This is illegal, but, given what’s been happening there, the term “illegal” has become the stuff of comedy. Phase 3. Politically, the Ukrainian government is a total farce. Much of it has been turned over to fly-by-night foreigners, such as the former Georgian president Saakashvili, who is a wanted criminal in his own country, which has recently stripped him of his citizenship. The parliament is stocked with criminals who bought their seat to gain immunity from prosecution, and who spend their time brawling with each other. Prime Minister Yatsenyuk was recently hauled off the podium by his crotch; how dignified is that? He seemed unfazed. Where are his testicles? Perhaps Victoria Nuland over at the US State Dept. is keeping them in a jar. This sort of action may be fun to watch on Youtube, but the reality is quite sad: those who “run” the Ukraine (if the term still applies) are only interested in one thing: stealing whatever is left. Phase 4. Ukrainian society (if the term still applies) has been split into a number of warring factions. This was, to some extent, inevitable. What happens if you take bits of Poland, Hungary, Romania and Russia, and stick them together willy-nilly? Well, results may vary; but if you also spend $5 billion US (as the Americans did) turning the Ukrainians against Russia (and, since they are mostly Russian, against themselves), then you get a complete disaster. Phase 5. Cultural collapse is quite advanced. The Ukraine once had the same world-class educational system as Russia, but since independence they switched to teaching in Ukrainian (a made-up language) using nonexistent textbooks. 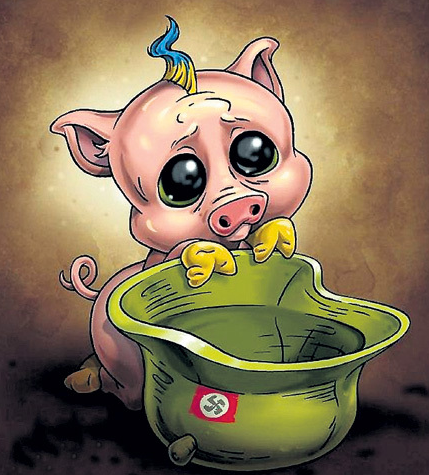 The kids have been taught a bogus history hallucinated by rabid Ukrainian nationalists. They’ve been told that Russia is backward and keeping them back, and that they deserve to be happy in the EU. (Just like the Greeks? Yeah…) But now the population has been reduced to levels of poverty not commonly seen outside of Africa, and young people are fleeing, or turning to gangsterism and prostitution, to merely survive. This doesn’t make for a happy cultural narrative. What does it mean to be “a Ukrainian” now? Expletives deleted. Sorry I asked. Now, here’s what it all really means. With so much going wrong, the Ukraine has been unable to secure enough natural gas or coal supplies to provide a supply cushion in case of a cold snap this winter. A few weeks of frosty weather will deplete the supply, and then pipes will freeze, rendering much of the urban areas unlivable from then on (because, recall, there is no longer any money, or any industry to speak of, to repair the damage). That seems bad enough, but we aren’t quite there yet. You see, the Ukraine produces over half of its electricity using nuclear power plants. 19 nuclear reactors are in operation, with 2 more supposedly under construction. And this is in a country whose economy is in free-fall and is set to approach that of Mali or Burundi! The nuclear fuel for these reactors was being supplied by Russia. An effort to replace the Russian supplier with Westinghouse failed because of quality issues leading to an accident. What is a bankrupt Ukraine, which just stiffed Russia on billions of sovereign debt, going to do when the time comes to refuel those 19 reactors? Good question! But an even better question is, Will they even make it that far? You see, it has become known that these nuclear installations have been skimping on preventive maintenance, due to lack of funds. Now, you are probably already aware of this, but let me spell it out just in case: a nuclear reactor is not one of those things that you run until it breaks, and then call a mechanic once it does. It’s not a “if it ain’t broke, I can’t fix it” sort of scenario. It’s more of a “you missed a tune-up so I ain’t going near it” scenario. And the way to keep it from breaking is to replace all the bits that are listed on the replacement schedule no later than the dates indicated on that schedule. It’s either that or the thing goes “Ka-boom!” and everyone’s hair falls out. 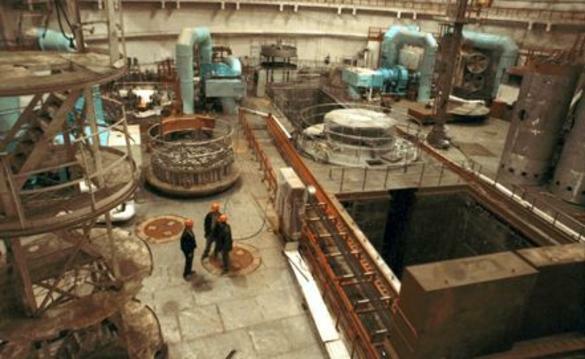 How close is Ukraine to a major nuclear accident? Well, it turns out, very close: just recently one was narrowly avoided when some Ukro-Nazis blew up electric transmission lines supplying Crimea, triggering a blackout that lasted many days. The Russians scrambled and ran a transmission line from the Russian mainland, so now Crimea is lit up again. 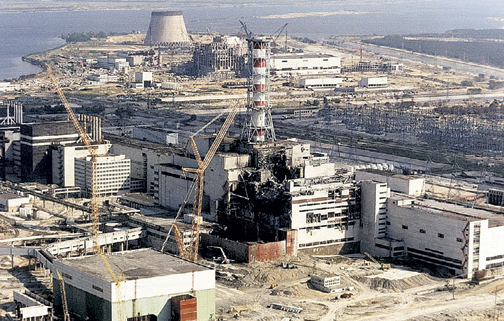 But while that was happening, the Southern Ukrainian, with its 4 energy blocks, lost its connection to the grid, and it was only the very swift, expert actions taken by the staff there that averted a nuclear accident. I hope that you know this already, but, just in case, let me spell it out again. One of the worst things that can happen to a nuclear reactor is loss of electricity supply. Yes, nuclear power stations make electricity—some of the time—but they must be supplied with electricity all the time to avoid a meltdown. This is what happened at Fukushima Daiichi, which dusted the ground with radionuclides as far as Tokyo and is still leaking radioactive juice into the Pacific. If this winter stays very, very warm, then the “19 Fukushimas” scenario just may be averted. This is not impossible: we’ve been seeing one freakishly warm winter after another, and each passing month is setting new records. The future is looking hot—as in very warm. Let us pray that it doesn’t also turn out to be hot—as in radioactive.